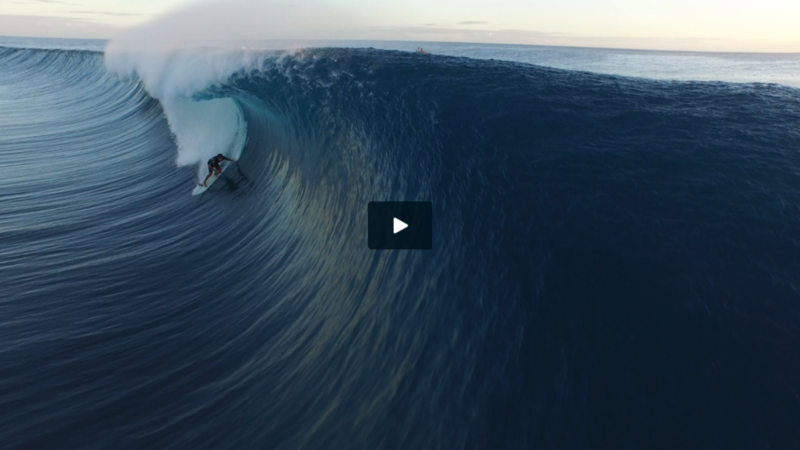 Bonjour Teahupoo | Temple of Toe™ – Get There! This article was written on , and is filled under Surf Shots, Surf Video, Travel. Teahupo’o: Du Ciel. It means Teahupo’o: From The Sky, but in French because French is really pretty and so is this. Brent Bielmann and Eric Sterman spent a few weeks in Tahiti during the season’s best run of swell. They flew a little white dove (sounds prettier than drone, right?) with a camera attached to it in order to get an angle that presents Teahupo’o in a way that we’ve never seen it before. We’ll go out on a limb and say it’s the best drone edit we’ve ever seen — it speaks for itself, in any language.